Clean the studio is the daily work of operators in concrete mixing station. Because the concrete is easy to coagulate, if not cleaning for a long time, it may affect the quality of concrete mixer, and concrete mixer and easily damaged. In order to prolong the service life of the mixer, usually operators will clean the concrete mixer after each use. 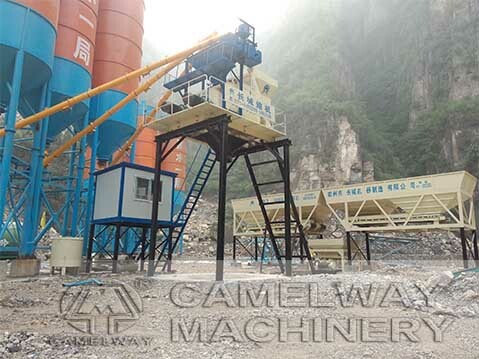 CamelWay Machinery manufacture will introduce the following several kinds of quick and easy cleaning method to you. 1, In the process of cleaning, put a little stones and water into the host with stirring 5 ~ 10 min, after cleaning inner material, can not have water, product in the machine. 2, Assuming that operators into the mixing drum when cleaning, stop before flushing pipe. 3, When washing the material door of mixing console, should avoid plugging material door by material deposition. 4, When he found the impurities of the concrete mixer is more difficult to clean, do not use hammer knock, with a chisel gradually clear, so as to avoid damage to the blender.